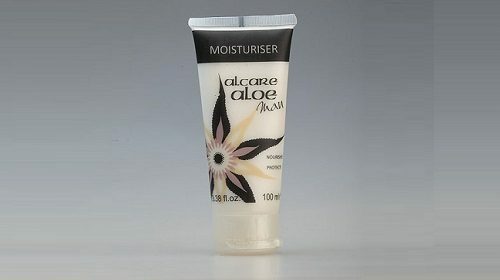 Alcare Aloe MAN Moisturiser are a complex formulation that moisturises and nourishes your skin, protecting it against moisture loss, leaving it smooth and supple. Aloe ferox is harvested in the wild in an ecologically friendly way. Aqua (Water), Paraffinum Liquidum (Mineral Oil), Cetearyl Alcohol, Isopropyl Myristate, Propylene Glycol, Glyceryl Stearate SE, Aloe ferox Leaf Extract, PEG-20 Stearate, Lanolin Alcohol, Oleyl Alcohol, Stearic Acid, Carbomer, Triethanolamine, Imidazolidinyl Urea, Phenoxyethanol, Ethylhexylglycerin, Parfum (fragrance), Alpha-Isomethylionone, Butylphenyl Methylpropional, Citral, Citronellol, Geraniol, Hydroxyisophexyl-3-Cyclohexene Carboxaldehyde, Limonene, Linalool.